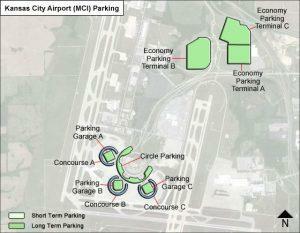 Kansas City International Airport Parking Your car can pay for your parking space. Kansas City International Airport Parking : Let us face it; it is an enormous task to drive yourself or drive someone to the airport to catch a flight. Not only do you have to battle with traffic jams at peak hours, but also hustle for a parking space at the airport. You run a risk of vicious acquisition of a parking space with other drivers. As if that is not enough, you may incur huge parking bills if you stay for longer hours without planning for it. However, if you park with TravelCar, you end up saving time and money with our cheap parking solutions. TravelCar plays a huge role in facilitating the influx of passengers into Kansas City International Airport by providing cheap parking solutions. Please note that you are not limited to Kansas City International Airport, TravelCar can also avail cheap parking spaces at nearby city centers, hotels, train stations and seaports in Missouri. We are basically everywhere in the region to keep your journey smooth and comfortable with our parking spaces and car rentals. Platte County of Missouri State in the United States hosts Kansas City International Airport. Kansas City International Airport was constructed in the year 1954, 24 kilometers away from Kansas City in the North-West direction. MCI provides airline services in the Kansas City Metropolitan Area. MCI is owned and managed by Kansas City Aviation Department. 123,335 aircraft operations and 11,503,936 passenger enplanements occurred in 2017 at Kansas City International Airport. Kansas City International Airport is the 39th busiest airport in the USA and the 2nd busiest airport in the state of Missouri after St. Louis Lambert International Airport. MCI has three runways, three passenger terminals, and 90 gates. Garage Parking The vehicle height restrictions at Garage A is 7’2, Garage B is 7’4, and Garage C is 8’2. Economy Parking Lot Lots B and C have electric charging stations. The Economy Lot accommodates vehicles over 8’2 in height. Cell Phone Waiting Area The Cell Phone Waiting Area is in Lot G close to the control tower. Commercial vehicles are not allowed in this area. No car can be left unattended at this spot. Waiting time is 45 minutes only. 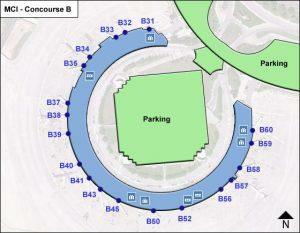 TravelCar is a parking space provider at Kansas City International Airport. This firm is the only one in the region offering the cheapest parking solutions to drivers. Our parking lots are readily available upon prior booking on our website. We are situated offsite, a few minutes away from the airport terminals. You can enjoy cheap parking solutions at various airports, seaports, train stations, hotels and city centers near Kansas City International airport. Visit downtowns neighboring Kansas City International Airport. The downtowns are in these small towns in Missouri: Milton, Barry, Tiffany Springs, Linkville, Tracy, Hoover, Tarrytown, Platte City, Platte Woods, Platte Gardens, Lake Waukomis, Waldron, and Kerrville. You may also be interested in checking out Kansas City downtown, Independence, Ferrelview, Raytown Nashua, Liberty, Gladstone, Farley, Hampton and Weatherby Lake. The train stations near Kansas City International Airport include the North Loop on Main at 7th Street NB, Metro Center on Main at 12th Street SB, River Market North on 3rd Street at Grand WB, Library on Main at 9th Street NB, City Market Station, River Market West on Delaware at 4th Street SB, and Power & Light Station. In all of the above areas, TravelCar ensures a traveler gets cheap parking solutions, excellent customer service, and high-quality car maintenance services. Road Kansas City Area Transportation Authority (KCATA) Bus Route 229 bus operates between MCI and Downtown Kansas City. 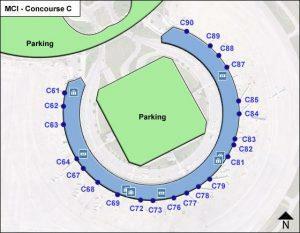 The bus makes stops at the curbsides of the airport terminals, Main Transit Center and the 10th Transit Center. Route 129 links MCI with Kansas City Route 229 runs from 5:32 am to 11:17 pm daily. Route 129 runs from 5:30 am to 11:15 pm daily. Compare parking prices from 30+ companies in Kansas City International Airport before choosing a company that suits your parking needs. TravelCar assures you of affordable valet parking prices and prices of parking either for short periods or long periods. At TravelCar you will get value for your money at whatever time you check into our parking areas. Are you interested in earning money from your vehicle while away on your trip? Sign up with TravelCar to list your vehicle. It will be part of our fleet for the time you are away. You will be paid accordingly as per the terms issued. A majority of the car maintenance costs will be on us for the time the vehicle is in our hands. We can guarantee you the safety and proper condition of your automobile by the time you come back. Call us for more information on the same. All services at TravelCar are only availed to clients who have booked on our official website www.travelcar.com. Kindly make your inquiries through this number, +1 888-807-0209. You can request a quote on our website. We have a customer service agent standby 24/7 to answer all questions and respond to your requests. 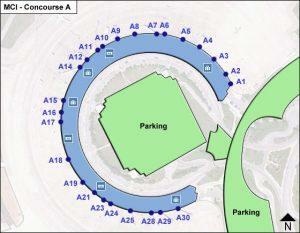 The parking slots are near the airport. We provide a shuttle service to the airport terminals. Do you need assistance in parking your vehicle? Get affordable valet parking deals from TravelCar. No need to worry where exactly your car is parked. We will save you the nitty-gritty. Just ask for your car back, and it will be delivered back to you in good time. Moreover, our courteous employees will assist you to move your luggage. Valet parking is open for all travelers 24/7. Book for valet parking service at www.travelcar.com. With the aim of giving what matters most to you, we have engaged a full team of customer service agents to deliver top-notch services. Ask all the questions you may have about TravelCar. Additionally, take your time to read through our terms and condition. Use the communication channels to contact us in case of inquiries. Our customer support channels are open 24/7, and our vibrant staff will be at your service. TravelCar works with a team of professionals. We have a score superior to 9 at Trustpilot. We are, therefore, a verified brand that you can trust to satisfy your parking needs. Amenities available at MCI include family restrooms, pet relief areas, nursing suites, restaurants, visual paging monitors, wheelchair accessible elevators, Braille for the sight-impaired, Text Teletype for the Hearing Impaired (TTY), and free Wi-Fi. Airport Ambassadors dressed in brick-red blazers aid travelers seeking different amenities in the airport. They give the necessary directions and advise on areas of interest that one can visit. There are stringent rules regarding the parking of vehicles before the airport terminals. Pick and drop a passenger as fast as possible then drive away from the terminal. Kindly note that failure to adhere to these rules put your vehicle at risk of being towed away by the necessary authority. Kansas City is famous for jazz music, fountains, and barbeque. If you love art, you may want to visit the Nelson-Atkins Museum of Art and the American Jazz Museum. If you are new in Kansas City, get a car rental from us and drive yourself to these fun places. Kansas City has a lot to offer, and we are here to make sure you get an amazing travel experience.